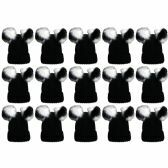 12 Units of SOCKSNBULK Mens Womens Warm Winter Hats in Assorted Colors, Mens Womens Unisex (15 Pack Wine Mix) at low wholesale prices. 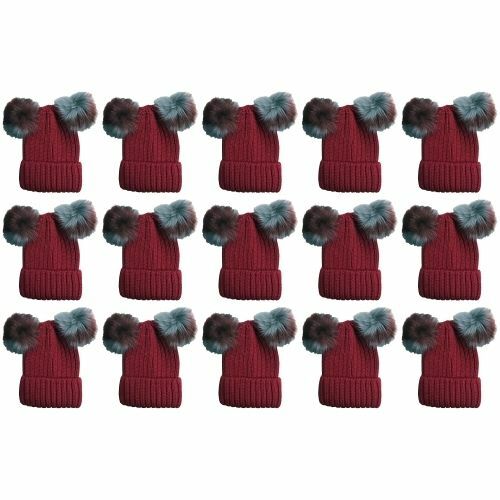 Socksinbulk.com offers Fashion Winter Hats at bulk discounted prices. WINTER TRENDS: Get ready for winter with a luxuriously soft knit beanie. 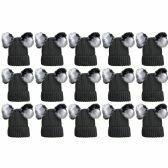 Fashionable pull on beanie with a snug fit and plenty of stretch. Thick cable knit design for ultimate warmth. Classic cuff and plush pom poms brings softness and style to your winter wardrobe. Easy to match colors and and soft lining makes this beanie a winter essential. 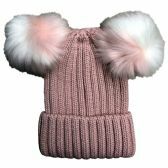 Super cute two tone pom pom�s adds a pop of style to your winter outfit. 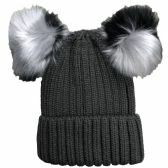 FASHION AND FUNCTION: High quality fashion beanie thats cute enough for a night out but durable enough for winter sports. 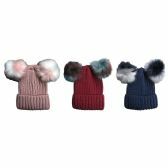 Hit the slopes or hit the town in a super trendy pom pom hat that keeps your head cozy and your style on point. 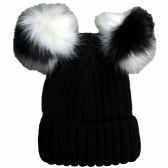 Two tone pom pom�s in a luxurious soft faux fur will keep you warm and stylish. PERFECT GIFT: Its the season of giving and what can be better than a super soft winter beanie. Great for family, friends and teachers gifts. Show someone you love them by giving them the gift of warmth this holiday season. Makes a perfect stocking stuffer. With plenty of colors to choose from you�re sure to find the perfect gift for anyone. DURABLE & WARM: Made of 100% warm acrylic for superior warmth and durablity. Stretchy and snug fit will keep the wind out. 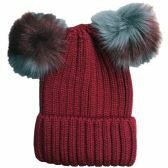 Get that classic winter charm with a cozy cute double pom pom beanie! 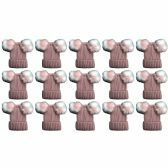 Classic cable knit pull on winter beanie with super soft lining and stretchy fit. Give your winter wear an upgrade with trendy double pom pom�s and folded cuff. This quintessential winter accessory is a great way to brave the cold and make a statement. ©2019 Socksinbulk.com. All rights reserved.